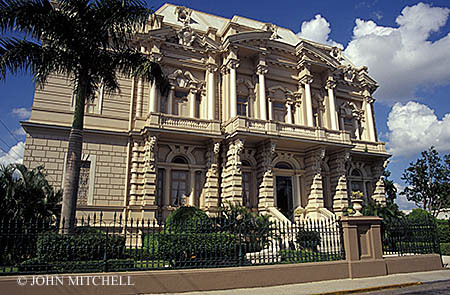 The Palacio Canton on Paseo de Montejo in Merida, Yucatan, Mexico. This mansion dates back to the early 1900's. It now houses a regional archaeological museum, the Museo Regional de Antropologia. individual preferences and is led by a hand-picked, expert guide. ancient-but-still-actively used coastal salt repository. allows adventures to explore three separate cenotes. favorite recipes. Price: From $95 per person. practice facilities and roundtrip transfers included.). finest area wine cellar to ensure each visit is memorable! a visit contact hacienda@xcanatun.com; or call 1-888-883-3633.